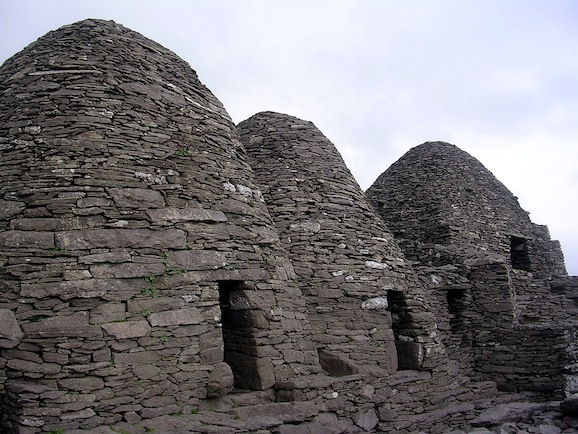 The Star Wars movies may be set in a galaxy far, far away, but the filming locations are all very, very Earth-bound. You can actually visit the California Redwoods that double as the forest moon of Endor, or the desert sets in Tunisia, at least until encroaching sand dunes reclaim the artifacts. 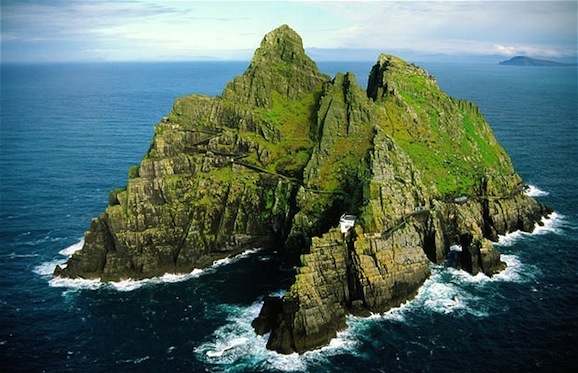 Now you can add another destination to your tourist itinerary as J.J. Abrams’ Star Wars: Episode VII has rented an island off of the coast of Ireland for part of their shoot. It must be nice to be able to rent an island, especially one this cool. 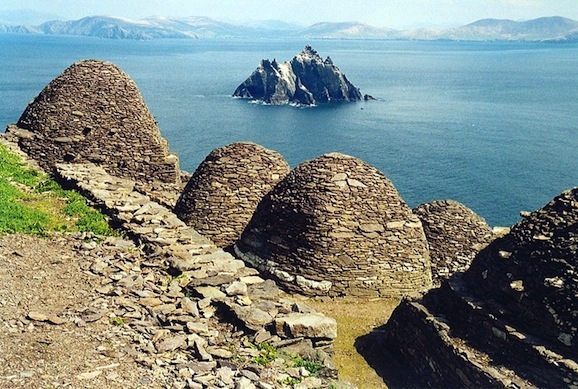 The Irish Independent reports that Disney and Lucasfilm have acquired the proper permits from the Office of Public Works to film on Skellig Michael. A World Heritage site, the island sits in the Atlantic Ocean 11. 6 kilometers off of the west coast of the Iveragh Peninsula, which is part of County Kerry. I have no idea what that means either, aside from the fact that this is an island in an ocean. What I do know is that the spot is crazy beautiful. There are jagged cliffs interspersed with lush green open areas, and tons of gorgeous views. It isn’t difficult to look at pictures and imagine that this is a distant alien world. Adding to the otherworldly atmosphere and appearance are bunches of incredibly awesome looking ancient Christian Monastic ruins. Just take a look at those stone huts that are all over the place and imagine weird creature walking out of them, or maybe you see a shadowy figure emerge, and when the person finally steps into the light it reveals a surprise familiar face. If those rumors that ran wild earlier this week are true, and Luke Skywalker has been missing in action since the events of Return of the Jedi, just think about him standing in one of those doorways. 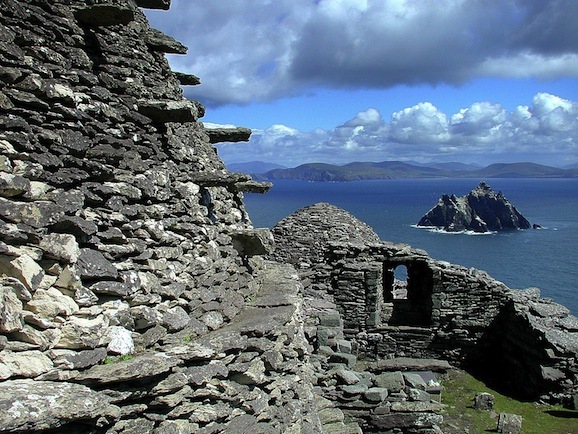 Figuring prominently in Irish folklore, Skellig Michael housed a monastery that was founded somewhere in the neighborhood of the sixth to eighth centuries, and it lasted until the twelfth century before it was abandoned. In 1880 the OPW took over the location. The United Nations Educational, Scientific, and Cultural Organization declared the site a World Heritage Site—a designation for places that have a substantial cultural and physical significance—in 1996. You can only access the island by boat, which will present unique set of challenges for a production the size and scale of Episode VII. The cast of the upcoming film keeps growing, and at the present time includes a mix of returning stars and new additions that includes Harrison Ford, Carrie Fisher, Mark Hamill, Anthony Daniels, Peter Mayhew, Kenny Baker, John Boyega, Daisy Ridley, Adam Driver, Oscar Isaac, Andy Serkis, Domhnall Gleeson, Max von Sydow, Lupita Nyong’o, Gwendoline Christie, Christina Chong, Crystal Clarke, and Pip Anderson. Filming began in Abu Dhabi in May before moving to Pinewood Studios in London. It’s unknown who will be making the trek to Skellig Michael. Star Wars: Episode VII is scheduled to open December 18, 2015.